Silicon Valley is home to the largest and most successful technology companies in the United States, including Google, Facebook, Twitter, Apple, and Yahoo. Along with a mild climate and a picturesque locale on the famous San Francisco Bay, Silicon Valley is full to the brim with the best, brightest, and richest people in America’s technology industry. The region largely owes itself to Stanford University electrical engineer and administrator Frederick E. Terman, who first joined the faculty in 1925. He felt that the Stanford engineering department was deficient, especially compared to east coast universities like MIT, and sought to bolster their program. After World War II, he became dean of the university, began focusing on microwave electronics, and solicited military contracts to fund academic research. Terman, in fact, was the man that encouraged William Hewett and David Packard of HP to start their company. In 1951, Terman created the Stanford Industrial (now Research) Park, which granted long-term leases on university land for tech companies. Soon, Kodak, GE, Lockheed Martin and others started their companies in Silicon Valley, cementing it as America’s premier high-technology manufacturing region. Today, it is the mecca for tech, with a quarter of a million IT workers on the ground and companies like Adobe, Cisco, eBay, Netflix and Pixar headquartered there, too. With all the exciting innovation going on in Silicon Valley, could there even be a negative side to living and working there? While most of the tech giants don’t seem to be thinking of moving their company out of the Valley anytime soon, other companies, like Snapchat and Sherbert, have packed up for other cities. Every American city has its pros and cons for both living and working environments, and Silicon Valley is no different. In the next two sections, I’m going to take you through the pros and cons of Silicon Valley, from the perspective of someone who is living their dream, and someone who wants out. Which seems like the more accurate story, and what elements of it cause you to either desire to startup in Silicon Valley or try elsewhere? Is Silicon Valley Right for Your Company? Heading out to Silicon Valley is a gamble. For the cost of living, you should be confident that your idea is novel and that you’re going to hustle harder than literally anyone else in the country to make your dream happen on the Bay. 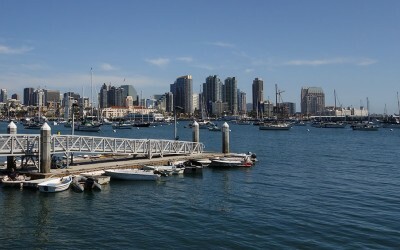 For companies like ours, living outside Silicon Valley (in San Diego) is just fine. There is a work-life balance, it is much more affordable than the San Francisco area, and NoBorder Productions can run its business just as efficiently here. Tech companies can certainly survive outside Silicon Valley—it’s up to each and every entrepreneur to consider their personality, their company’s style, and the business’s overall needs and goals to determine if Silicon Valley is a good fit. If you are driven, intense, desire to live and breathe the Silicon lifestyle every day, and have the capital (or at least the courage!) 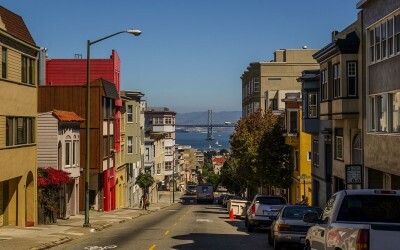 to live the San Francisco life, you may find Silicon Valley to be perfect for you. Looking for something a little less fast-paced, expensive, and competitive? There are plenty of places across the country for tech companies to shine. Inspired past and present by remote teams and ingenious startup companies like Buffer, Automattic, and Basecamp (which was originally founded in 1999! ), we are also passionate about making the web an even better place to work and do business. This year, it seems that everything is coming together for remote workers, including more acceptance of the freelance life and more tools to help designers and developers thrive on their own. We tend to think that only young people can become successful entrepreneurs. But think about Starbucks, IBM and GEICO. Who were these companies started by? People over 40! 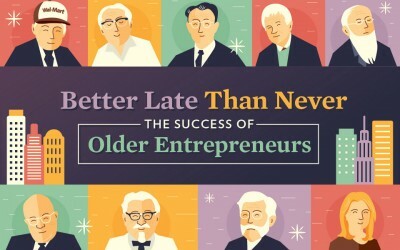 Remember, it’s never too late to start a business! That’s why today we want to share this nice infographic with you. Enjoy!